Make any room a weight room. Full body workouts without leaving home. 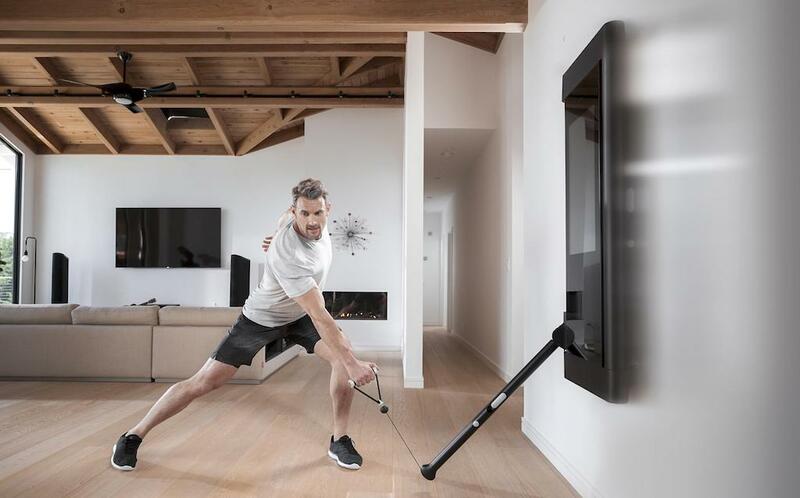 Tonal’s revolutionary all-in-one equipment combines digital weight with adjustable arms to pack 200 lbs. of resistance into a compact strength training machine. With no bulky weight stacks or dumbbell racks, it saves space and looks great in your home. Tonal is delivered and installed by our trained professionals so you can save your energy for working out. Installation is quick and easy – all you need is a wall with two studs. Learn more. All in one. All together. With endless configurations of the adjustable arms, Tonal replicates every leg, arm, shoulder, back, core, and chest machine in the weight room. Tonal’s additional accessories provide even more possibilities. Not sure how to do a rotational row? When to do it? Or even what it is? That’s ok. With step-by-step instructions, Tonal teaches you a broad range of functional movements to help with strength, stability, and movement quality. With hundreds of moves, you’ll be able to work every single body part without leaving the house. Unlock the full potential of Tonal. Tonal’s Smart Handles and Bar allow you to turn the weight on or off with the click of a button. Do even more exercises with our Rope, Bench, Mat, and Roller for truly optimal full body workouts. Adjust weight with the click of a button while six-axis gyroscopes measure every rep.
Add variety with our Rope, and easily swap accessories with our custom T-lock for the smoothest workout possible. Perform your favorite bar-based exercises and turn weight on or off when you’re in position with the bar control clip. Expand the amount of movements in your workout with our unique bench that is optimized for comfort. Engage in dynamic stretches and active recovery moves for a holistic fitness experience. Add comfort to floor exercises and stretches with our cushioned workout mat.